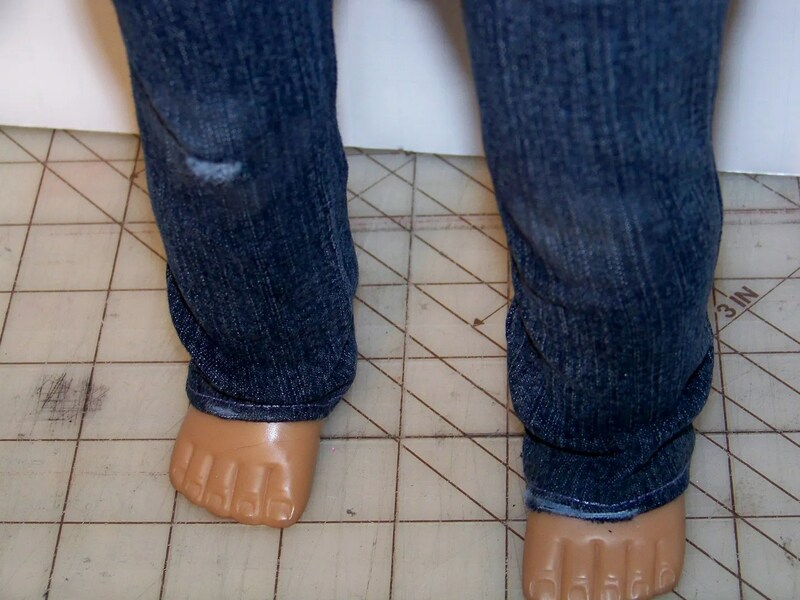 I am having so much fun making little jeans for my daughter’s doll, her friends’ dolls, and for my Etsy shop but I wanted to try distressing jeans in a new way– with chemicals. 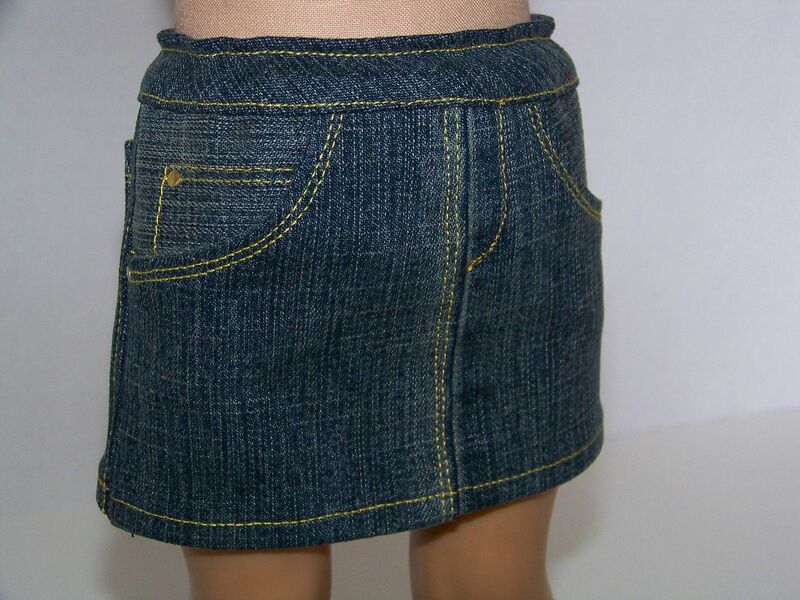 As a Liberty Jane customer, I have repeatedly seen mentions of a product called Denimolition. After searching the Joann Fabrics, Hancock Fabrics, Michael’s Crafts, independent craft and fabric stores in my area, Amazon, eBay, and googling for it, I have been unable to find it in stock… but I had been ‘sold’ on this idea and I wasn’t ready to give up! 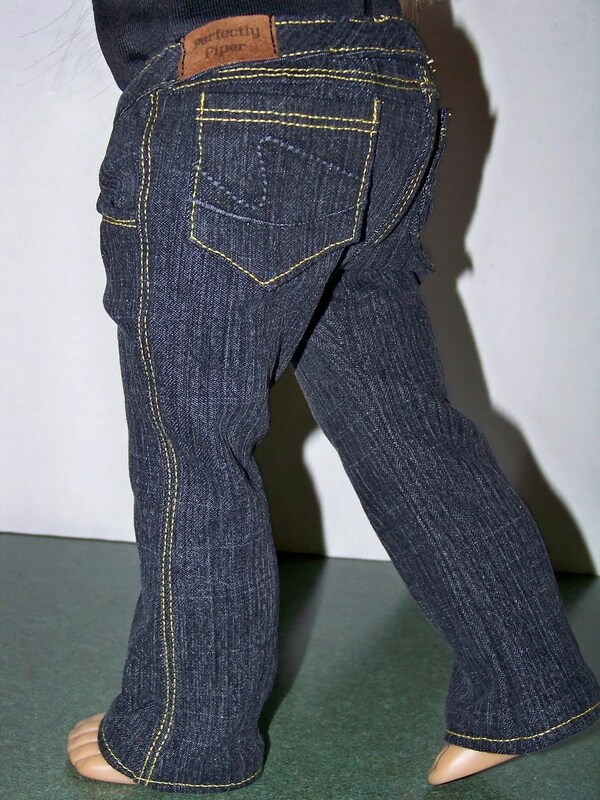 I started trying to figure out what Denimoliton actually was when I stumbled onto Fiber Etch and the product info on the manufacturer’s site that grabbed my attention (click here to read). If my memory is correct, Fiber Etch has been around a while– it was popular when many of us were experimenting with cutwork — or at least I think this was the chemical we used for silk and rayon velvet cutwork. 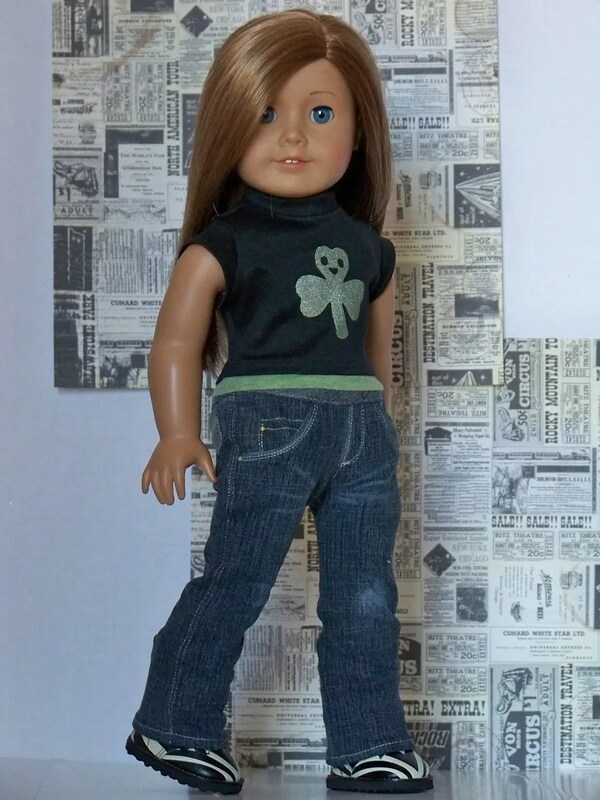 It comes in a variety of bottle sizes, but I just wanted to experiment to see if this stuff would work on demin like the cute jeans on the Liberty Jane Jeans pattern. I found a 4 oz. bottle for around $10 from Dharma Trading (click here), a company from which I used to buy batik supplies. I tried a sample of stretch denim to see what would happen. Fiber Etch only removes PLANT FIBERS and fabric blends with at least 50% plant fibers. 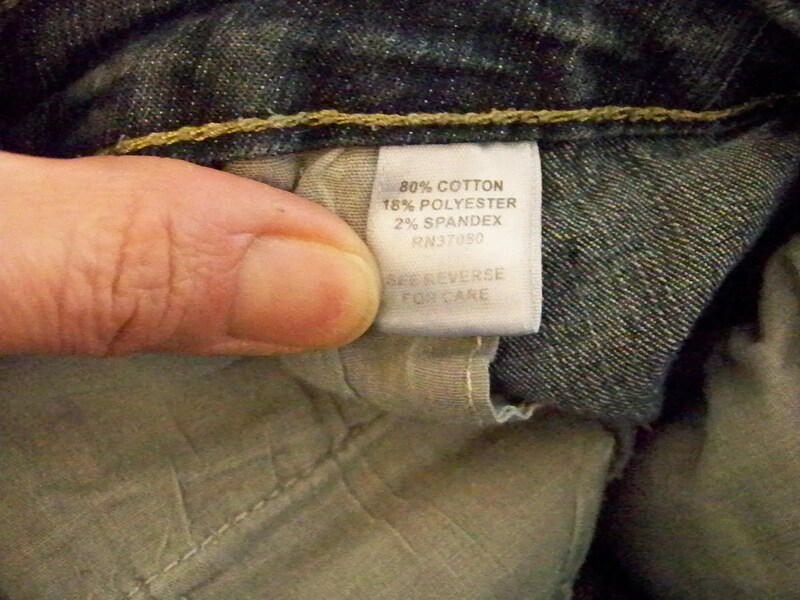 (Plant fibers include cotton, rayon, ramie, linen, and paper). 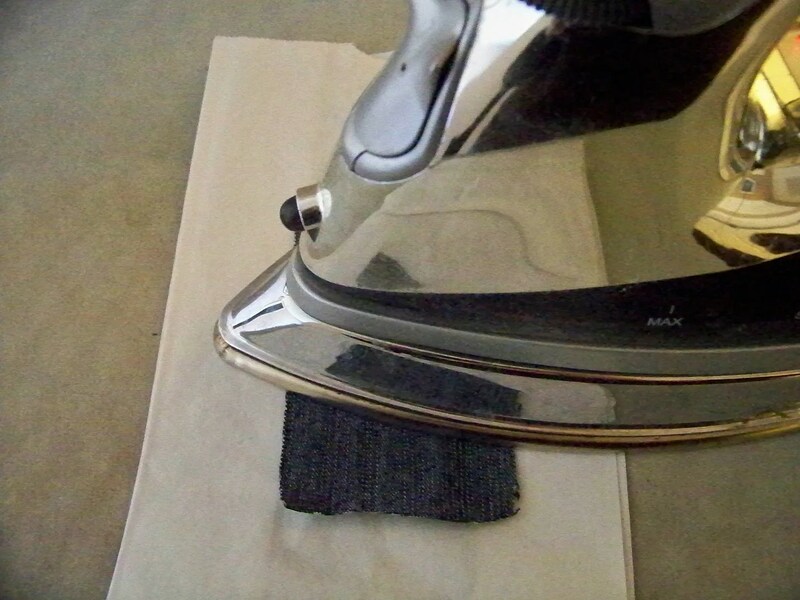 Silk and wool are protein fibers, so they are unaffected. 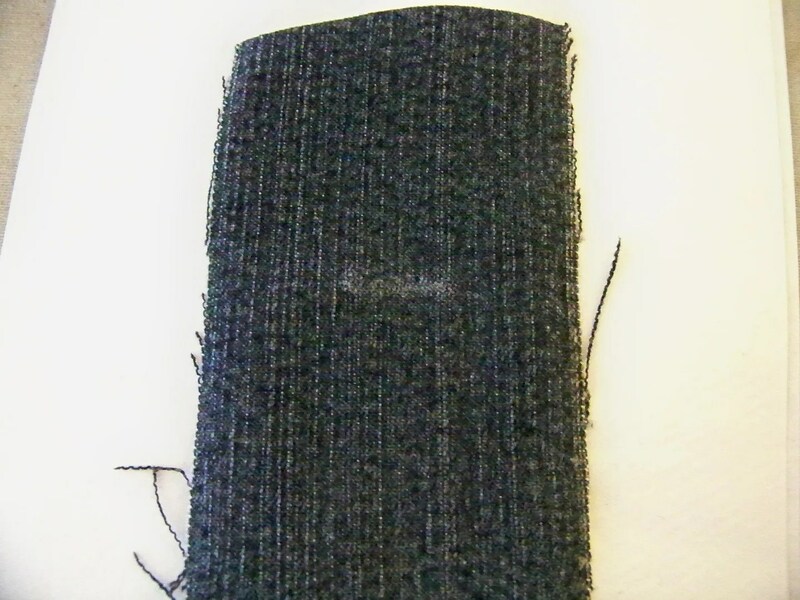 Fiber Etch also will not affect 100% polyester, acrylic, nylon, or metallic (with a non-rayon core). 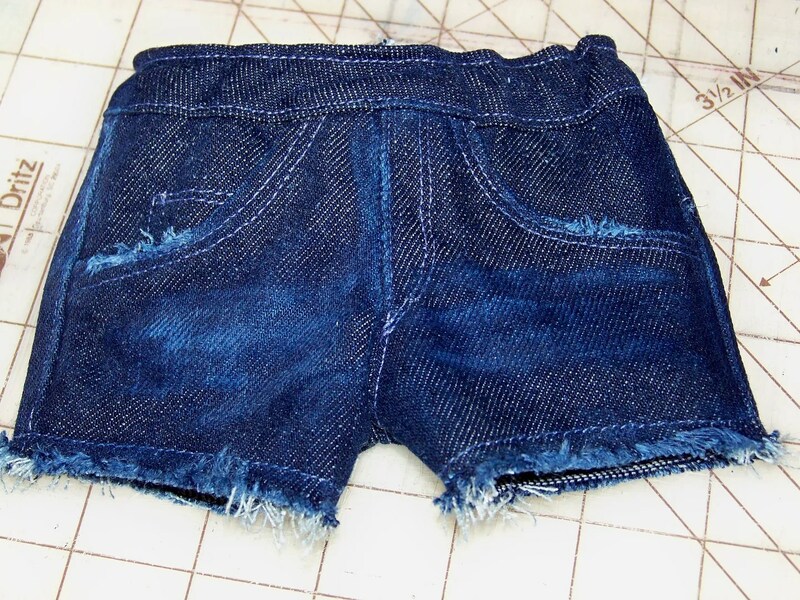 For this experiment and tutorial, I used demin from jeans that were 80% cotton, 18% poly, and 2% Spandex. 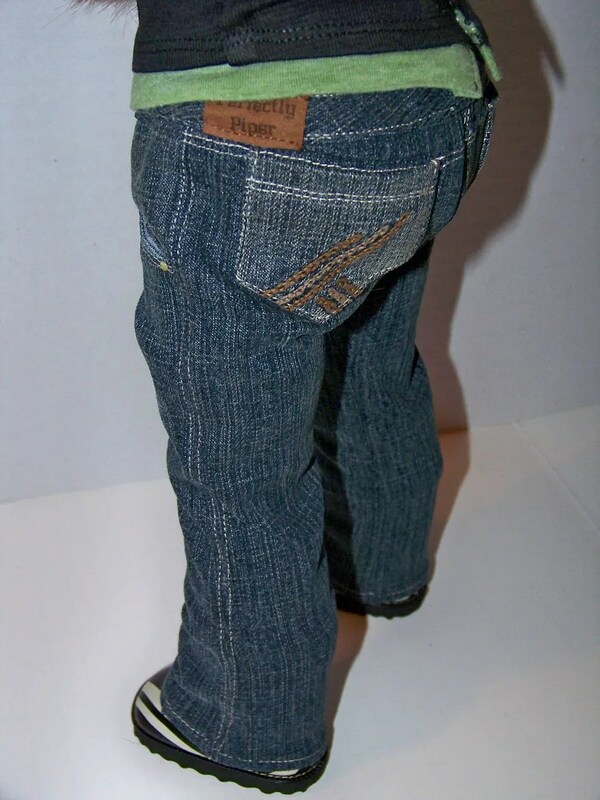 I started with poly/cotton/spandex blend jeans from a thrift store that I wanted to cut up into skinny jeans. 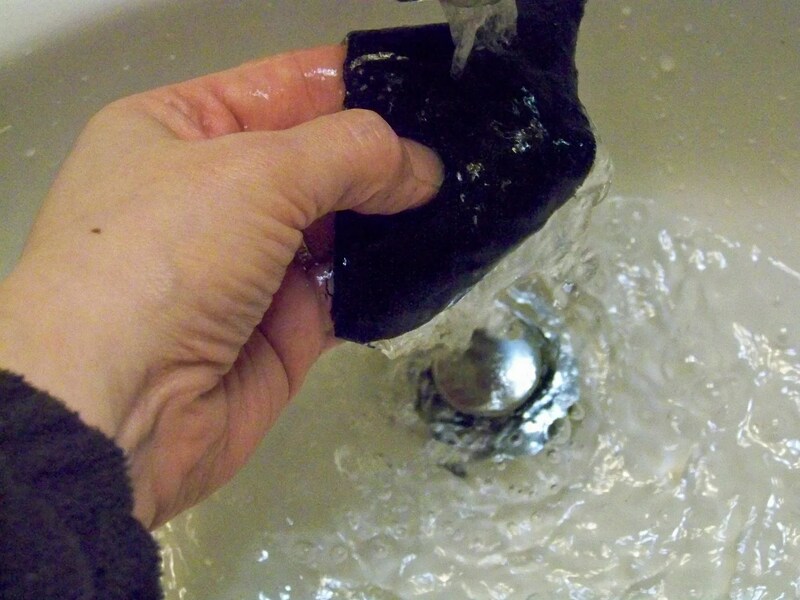 Spandex (lycra) is a polyurethane plastic so I knew it would be unaffected by the chemical treatment. 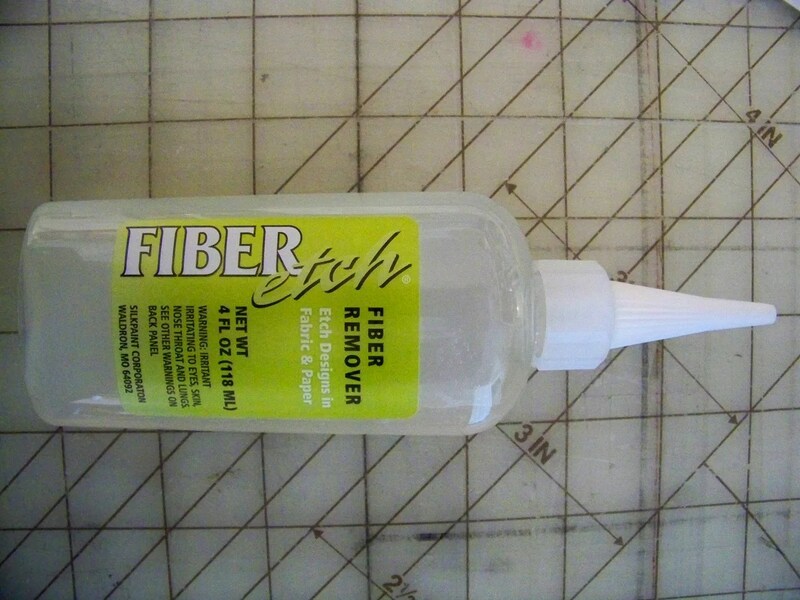 I applied the Fiber Etch per the paper instructions that were banded to the bottle and squeezed out the product then “scratched” it in using the applicator tip. 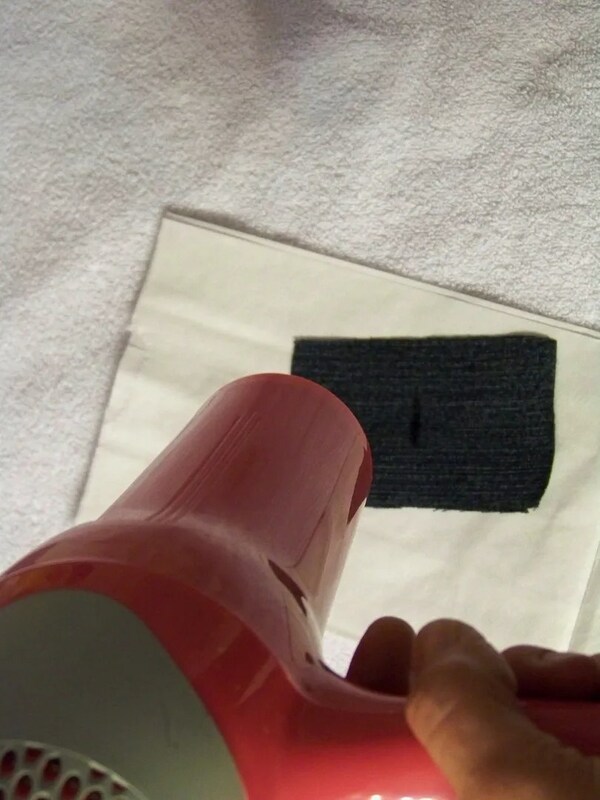 I dried the application with a blow dryer on high heat…. 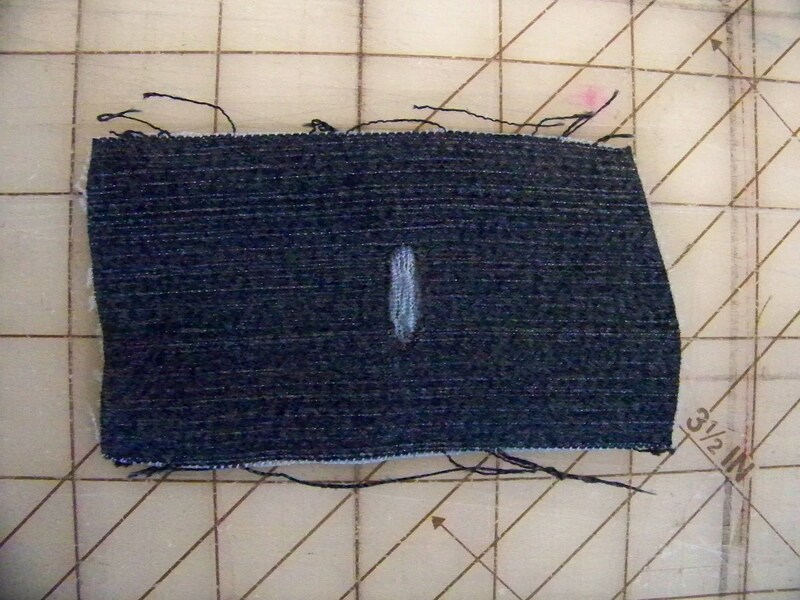 Then, using an iron on the ‘Cotton Setting’, I applied heat to the back of the fabric sample. 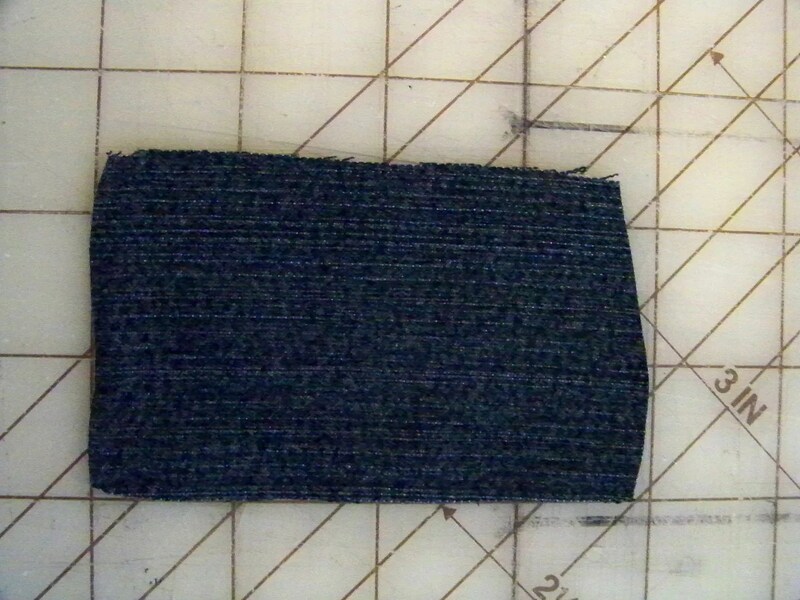 At this point, the area of the sample with the Fiber Etch on it has dried to a lighter color — almost whitish. 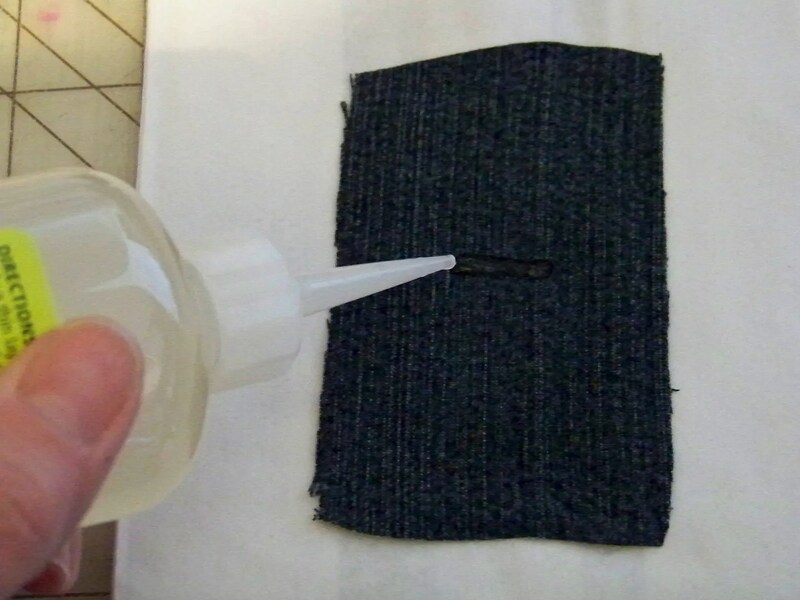 Next, I ran the fabric under water and lightly rubbed the application area to remove bits of treated fabric that were now brittle! And voila!! 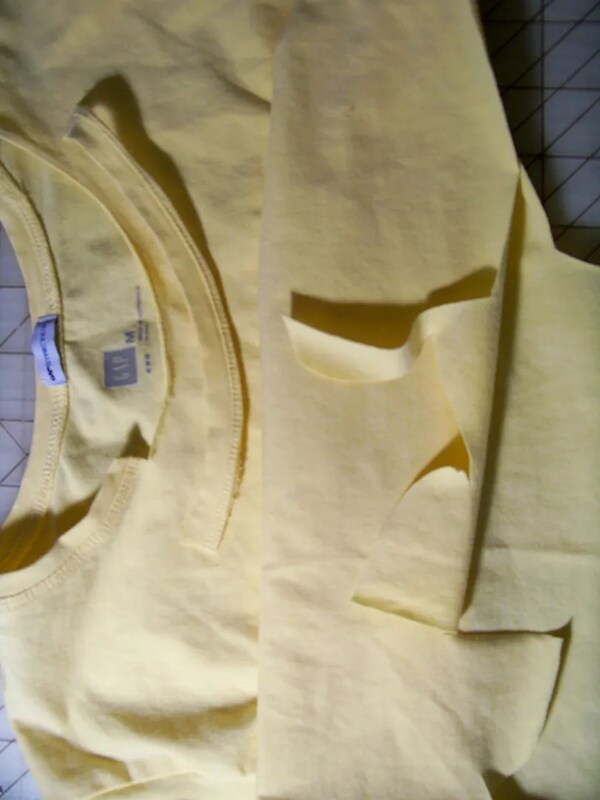 It worked: the white Spandex threads remain but all the other fibers in the treated area are gone! 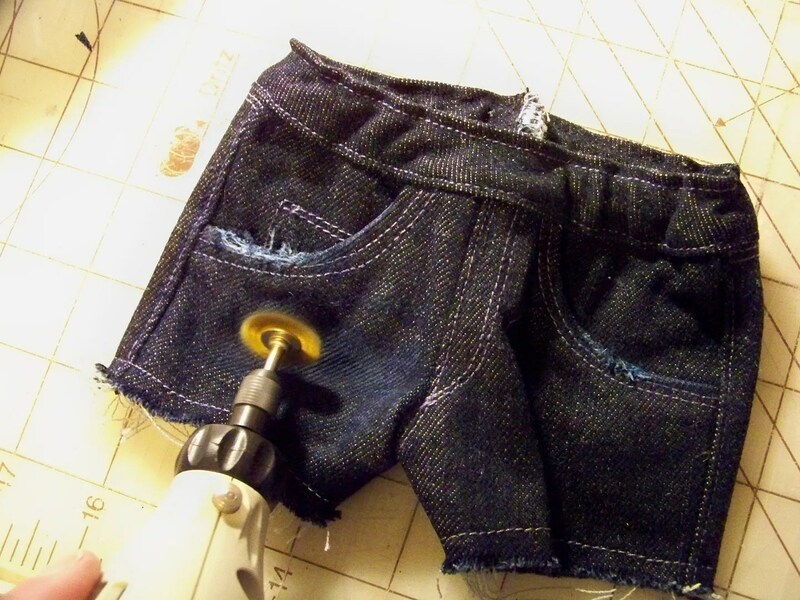 Next, I made a pair of 100% cotton demim shorts and combined the Fiber Etch effects with my rotary tool’s brush. I love the effect. This demim started off as a very dark Perry Ellis “big fella” pair of jeans. I loved the results from this demim. The local Goodwill store for the best variety of demin –and to help the community at the same time —and you can always drop off a donation while you are there! Rotary Tool – you can find this at Target, Sears, KMart, Lowe’s…any place with a hand-tool section! Some folks call this a “dremel” but that is actually a brand of rotary tool. Thank you for checking out my blog post today. 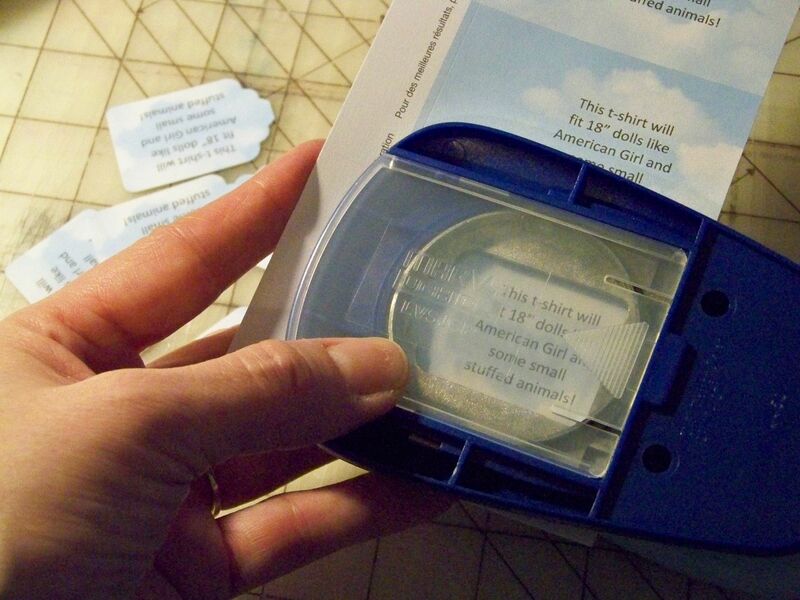 For more crafty how-tos, check out my craft blog, With Glittering Eyes, where the focus is on papercrafting… along with sewing, jewelry-making, and silk screening! 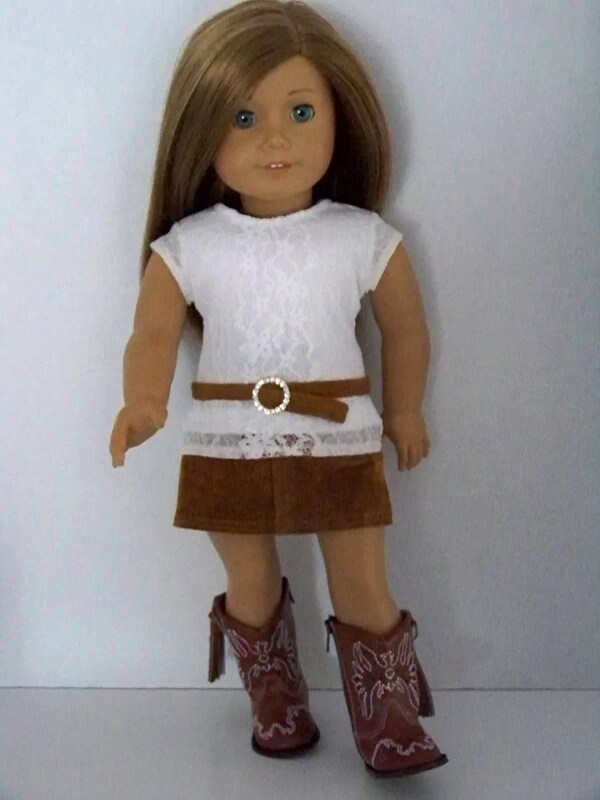 To see my American Girl doll clothes for sale, check out my Etsy Shop! 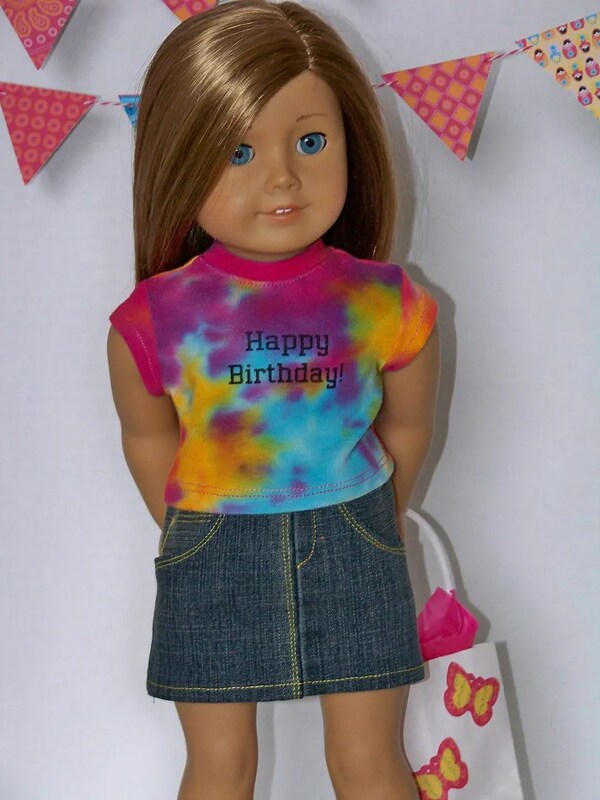 My daughter turned 8 last week and I wanted to create something fun that the girls would actually want and use. 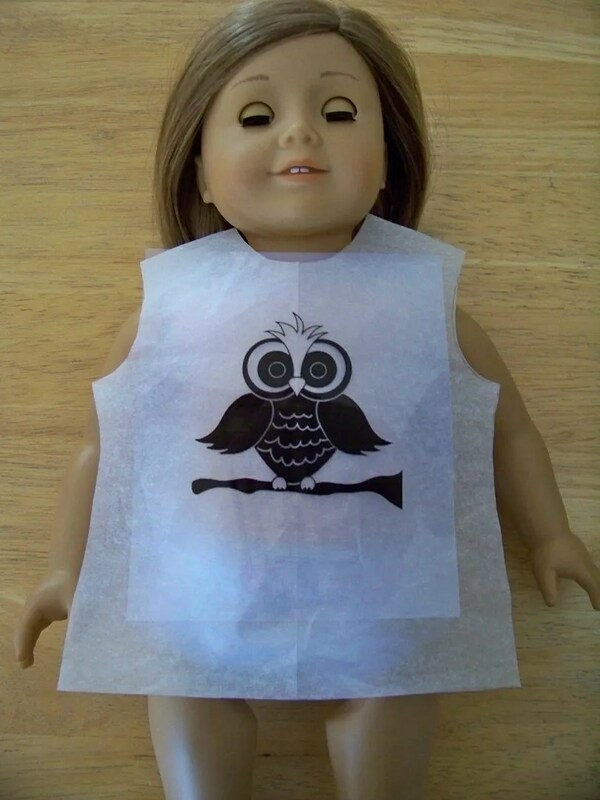 Since all of the girls have American Girl dolls, I thought doll t-shirts carrying on our owl theme would be a fun choice! 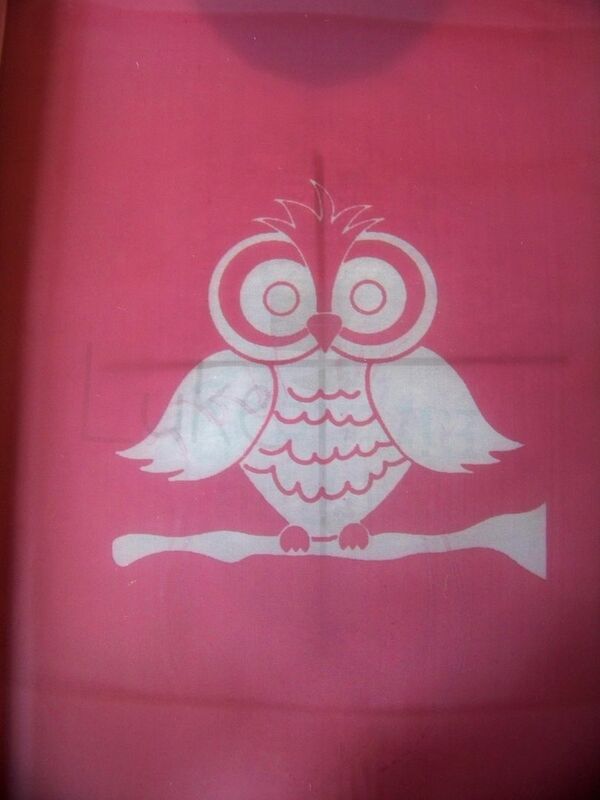 The owl design is from Pam’s Clip Art. I copied the image onto a transparency and burned the image into liquid emulsion using my Yudu. I figured out that if I cut a tissue paper t-shirt pattern opened up, I could use a Sharpie to mark the center of the shirt and line it up with the owl’s eyes in order to perfectly place the knit fabric in the Yudu Cardshop and again later when it was time to cut out the shirt. 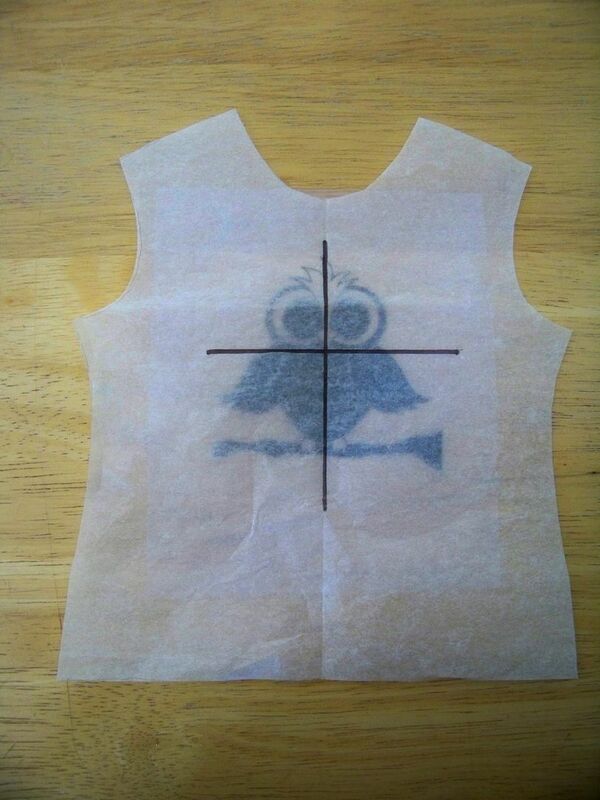 It is definitely the desired method to screen the fabric then cut out and make the shirt! 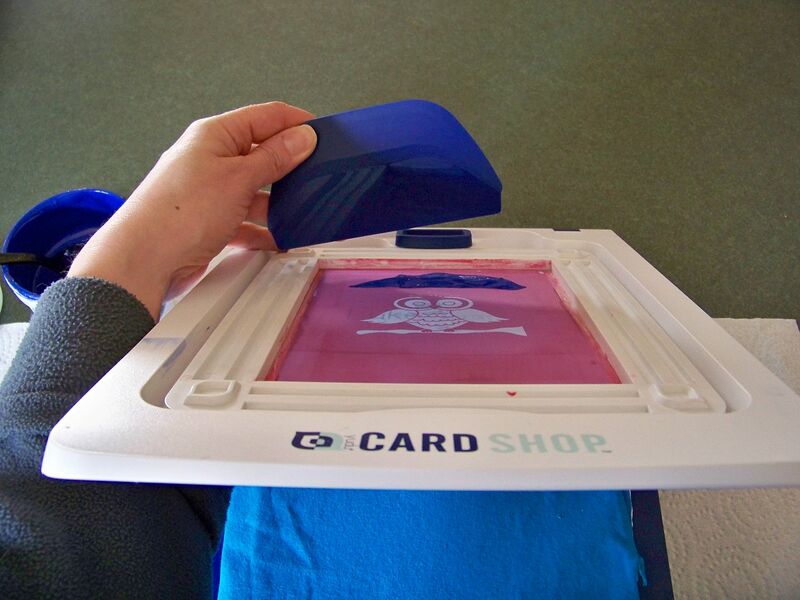 Once the screen was prepared, I used my Yudu Cardshop to pull the ink onto the t-shirt fabric squares. 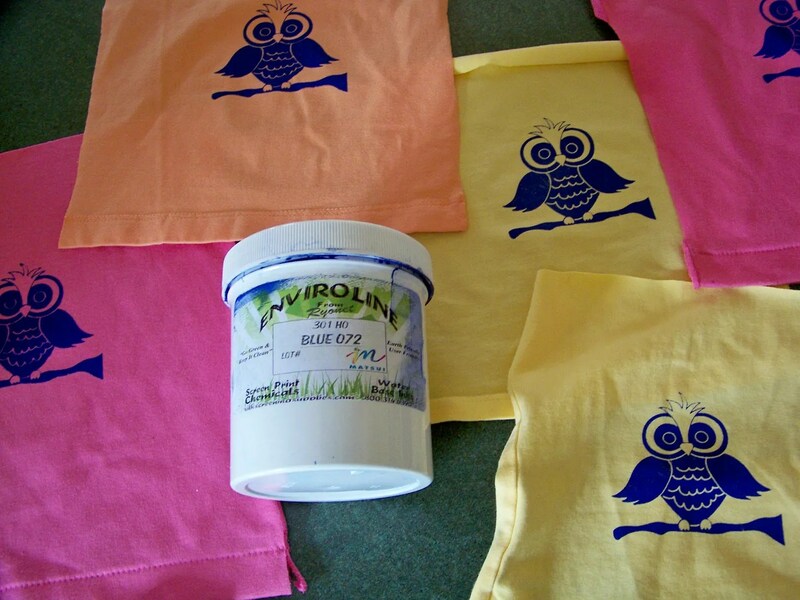 I used Ryonet’s Enviroline opaque ink in blue. This ink is just fantastic to pull! I did find that too much pressure pulling on spandex was a disaster, teaching me to adjust my pressure! I also find with the fine details (like with the feathers on the owl’s head) that I had to pull this image twice! 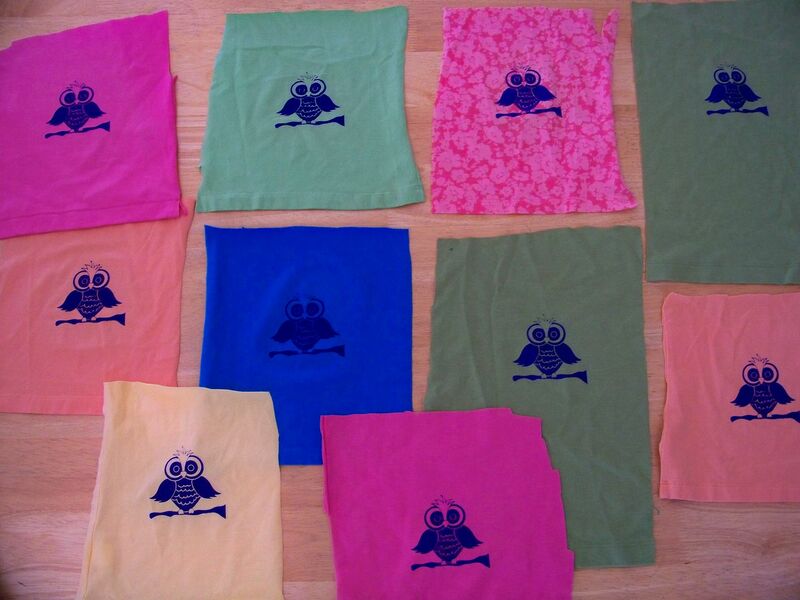 Once the ink dried, I heat set the images and made them into t-shirts. 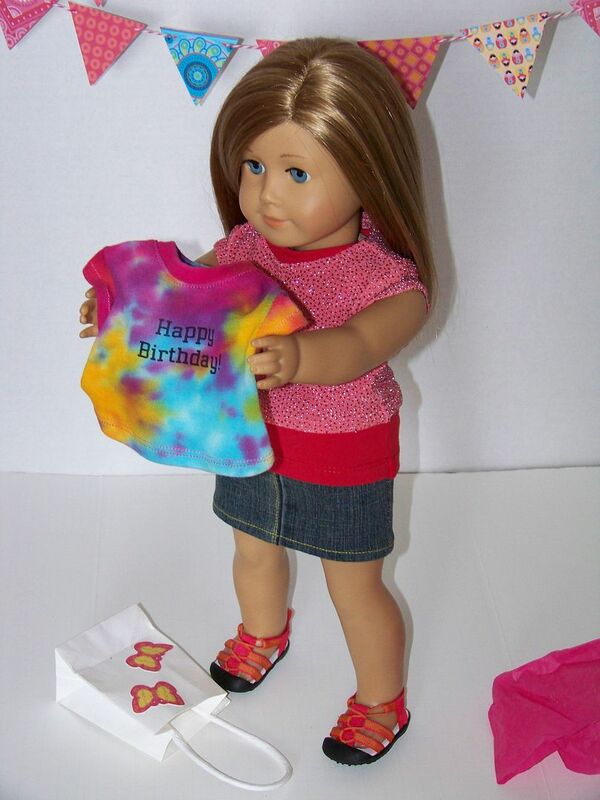 The pattern for the doll t-shirt is a free one from Liberty Jane with an added neckband. I added little tags with tiny brass safety pins tied with bakers twine to clue in the girls that this little t-shirt was for their American Girl dolls, which also made them look finished and special. Thank you for reading this post! To see the other owl-themed items created for the party, along with all the crafty how-tos, please check out the sister-post on my craft blog by clicking here. If you are curious about how to use a Yudu or Yudu Cardshop, check out my Yudu page on my craft blog by clicking here. “Owl” hope to see you there! What could be more fun with Perfectly Piper Designer Jeans than a fun graphic t-shirt? 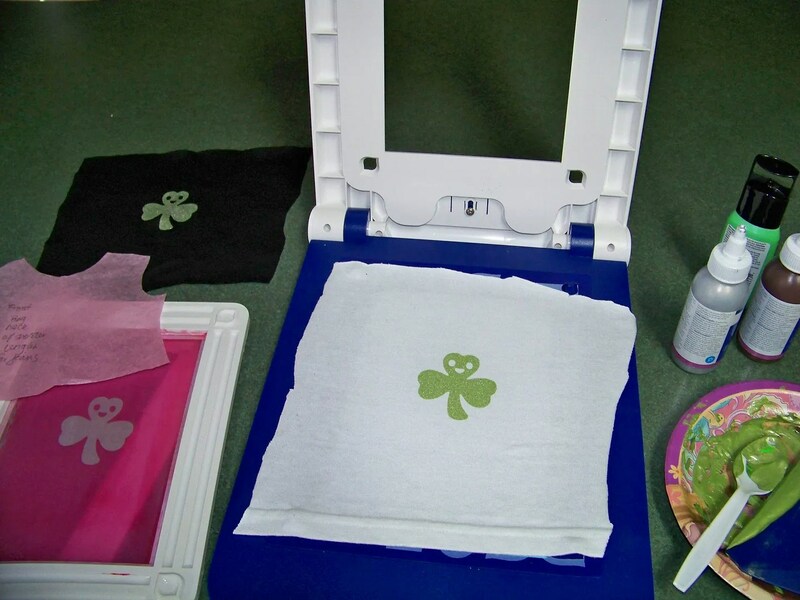 This was so much fun to make because I hand-mixed the color to get this pearlescent pale green for the smiling shamrock! 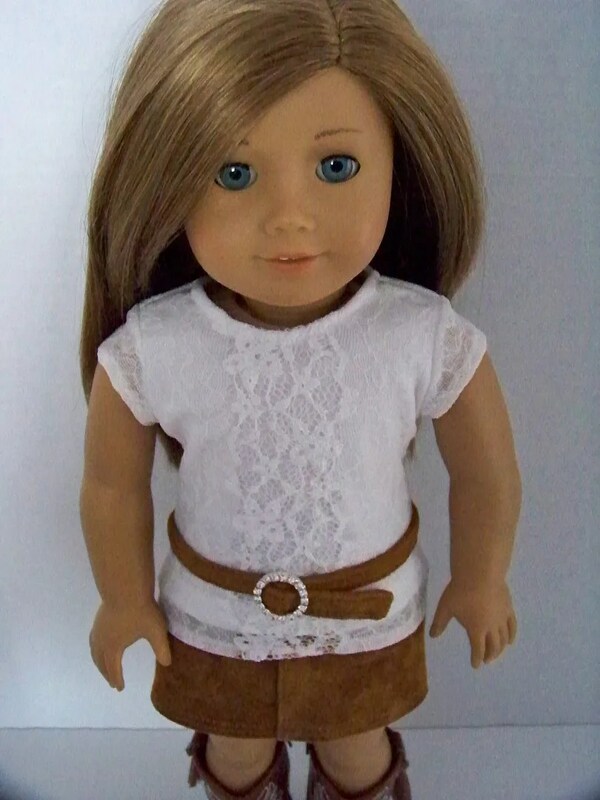 Of course this set features our favorite Perfectly Piper jeans! Want to try this look? 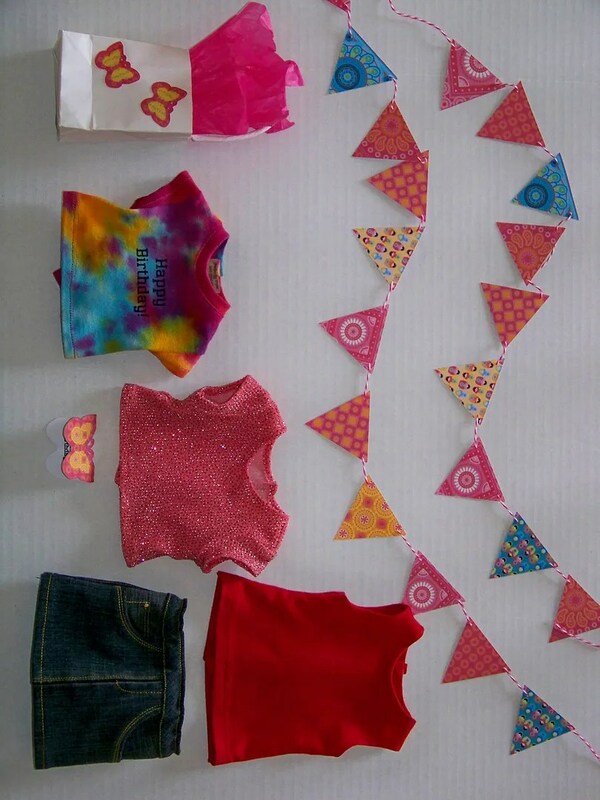 Check out Liberty Jane patterns along with Yudu and Yudu Cardshop! 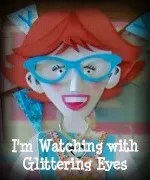 For lots of how-tos and crafty tips, check out the Yudu Page on my craft blog, With Glittering Eyes! Or… save yourself hours of effort and check out the listing for this ensemble in my Etsy Store! 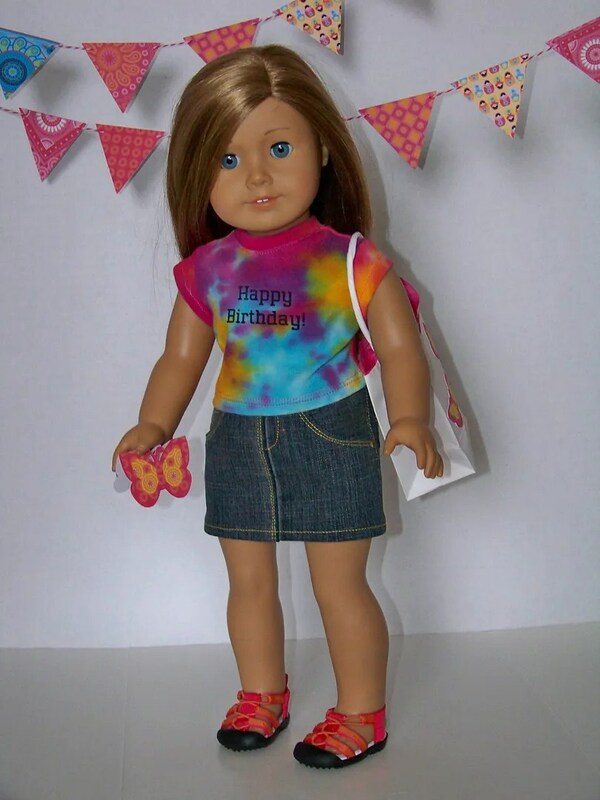 We have been in love with the Liberty Jane jeans pattern. 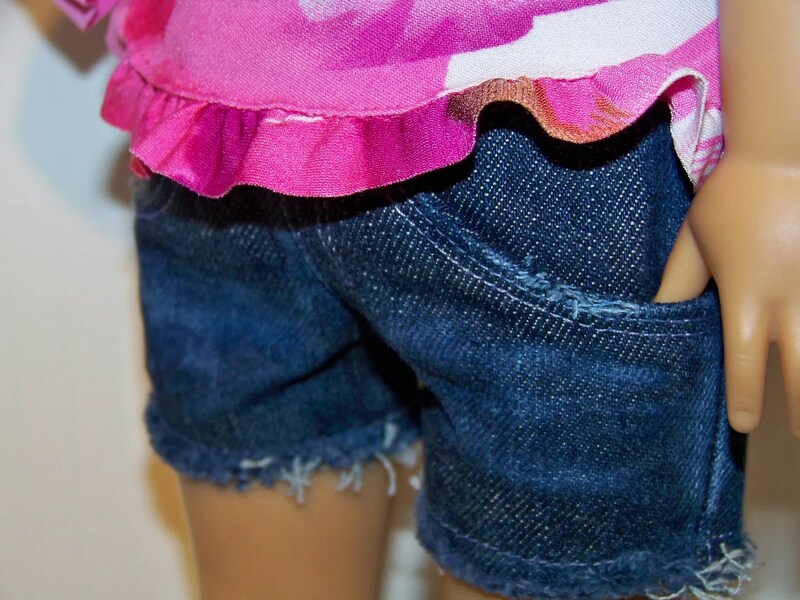 After tweaking the front pockets a bit and playing with lots of great denim fabrics…and creating our own designer label…we have a great pair of jeans for American Girl dolls! The label wowwed my daughter, Piper, who gasped when she saw it. 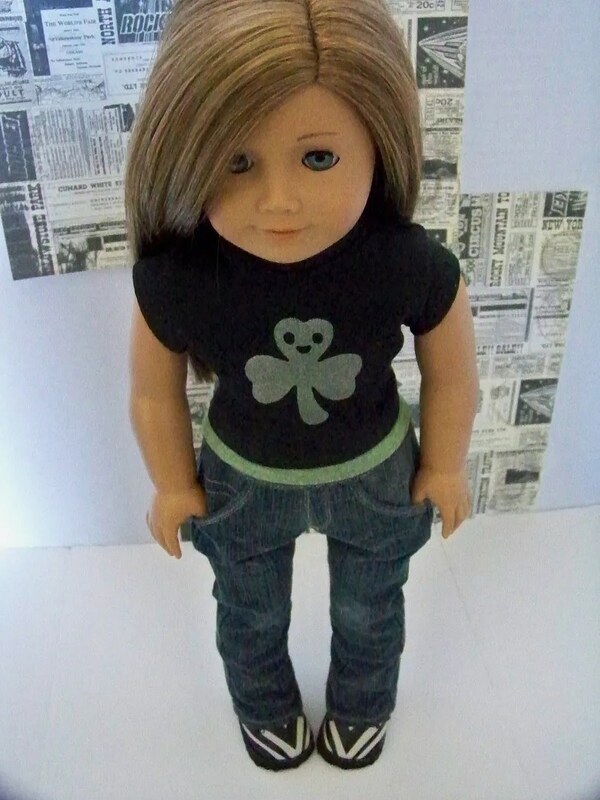 Why I like these jeans: they pull right on the less-than-perfect American Girl doll body with their thick middles and skinny legs. 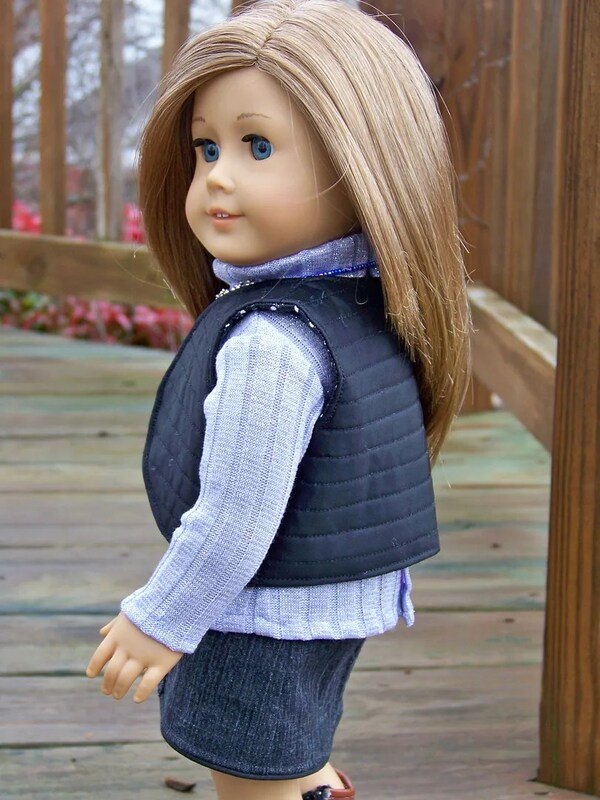 These jeans have great lines that work well with longer tops as well as tucked in Ts. 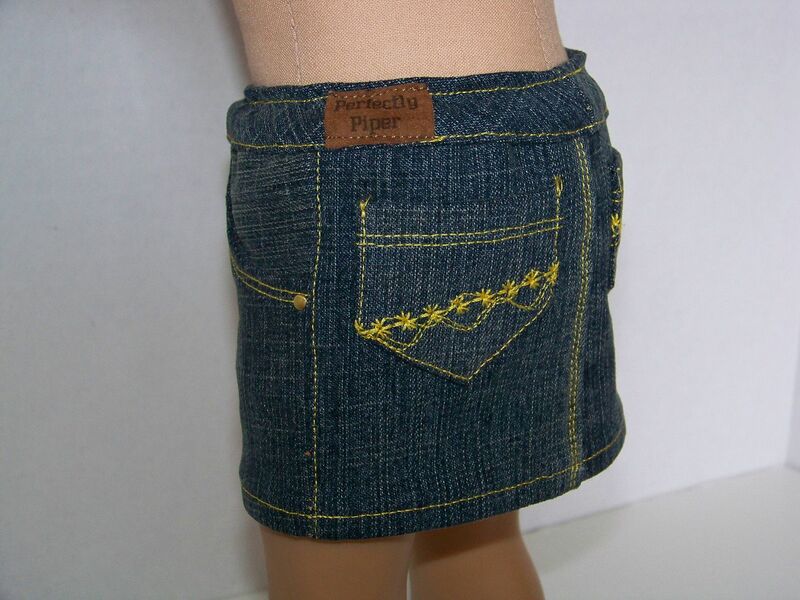 The latest Perfectly Piper Studio listing on Etsy features our new designer jeans! Click here to see! 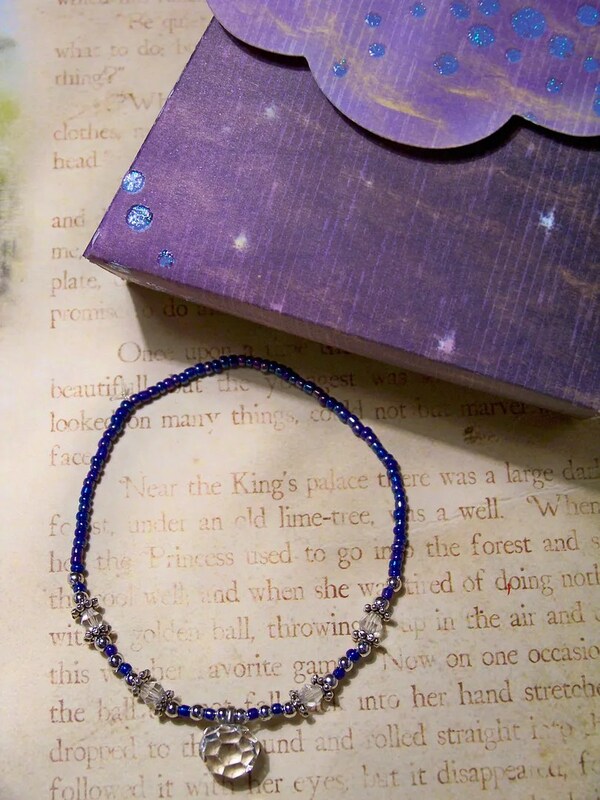 Ever feel like a gloomy day needs a little sparkle? I fell in love with the metallic knit I used for this mock turtleneck top — so icy and cool! 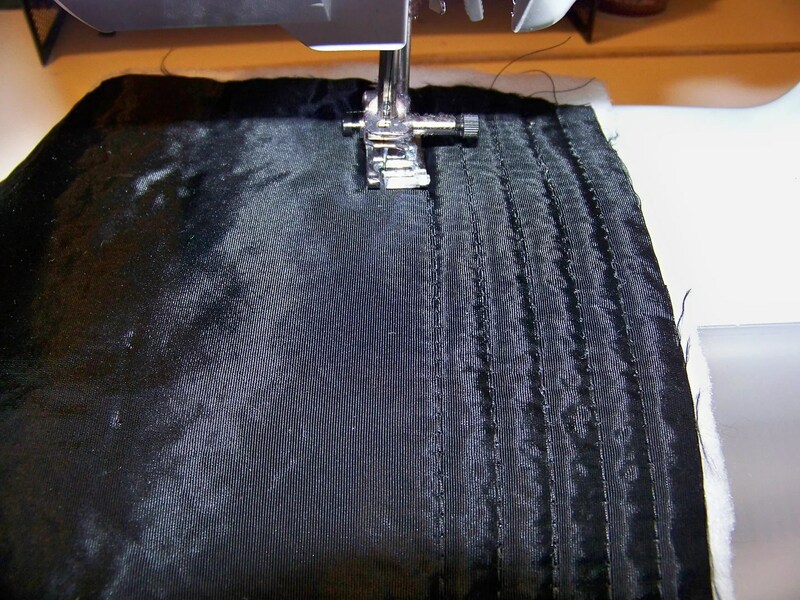 I added a piped edge for a smooth finish on the skirt hem. 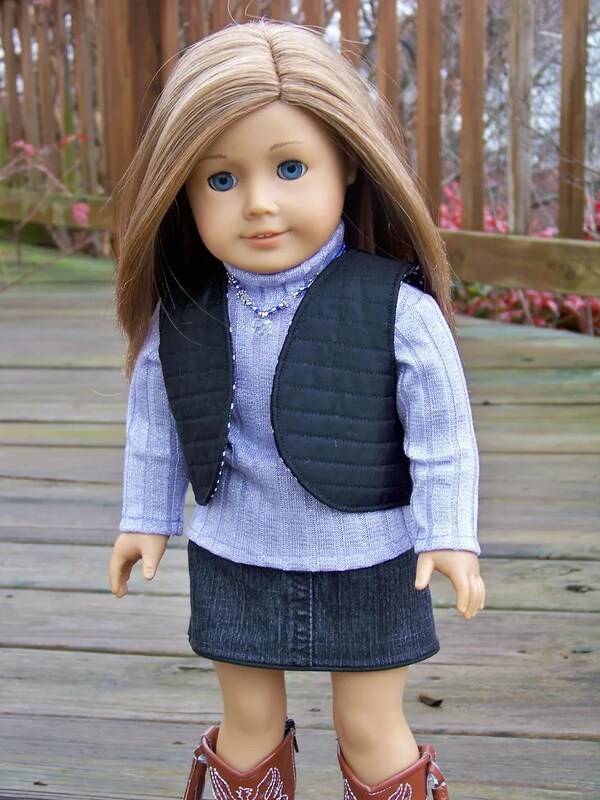 (The skirt and top were altered from Liberty Jane patterns). This ensemble features a vest pattern I drafted myself… all those pattern-making classes at Baer Fabrics years ago paid off on this project. I machine quilted the nylon outer fabric. Do you love polka dots? I lined the vest in a cotton polka dot print. 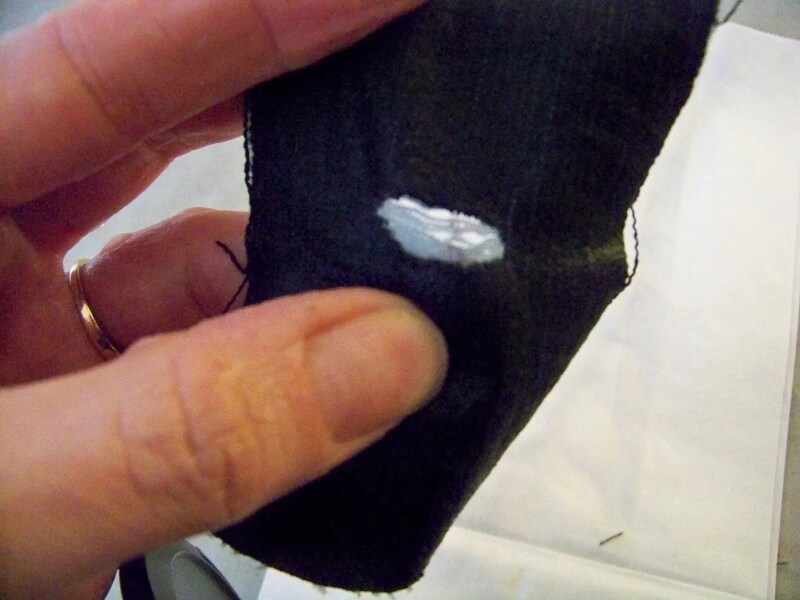 I sewed a little pocket on the inside and tucked a bit of doll-sized cash in there for fun. That was Piper’s favorite part of this outfit! She thought that would be a fun surprise for someone to find! 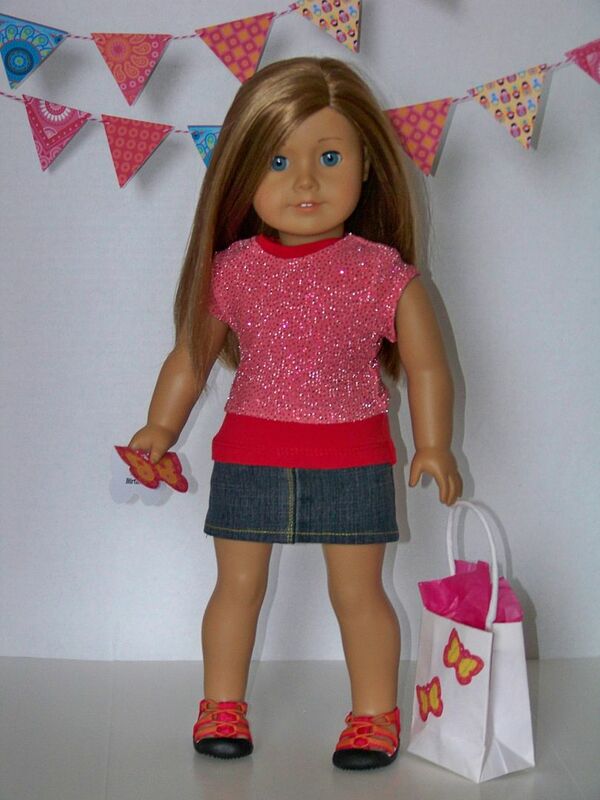 Even dolls need a little mad money, right? 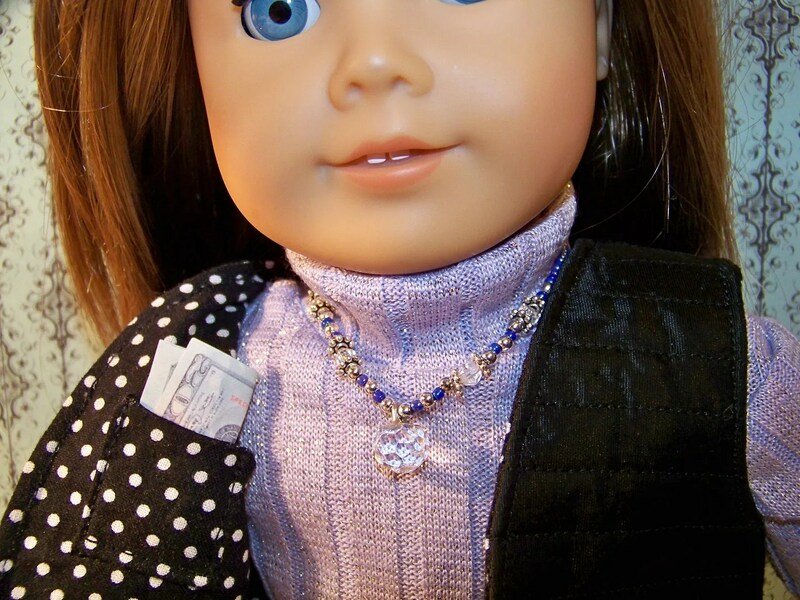 The necklace combines glass beads, crystals, metal beads, and metal spacers on a stretch cord. 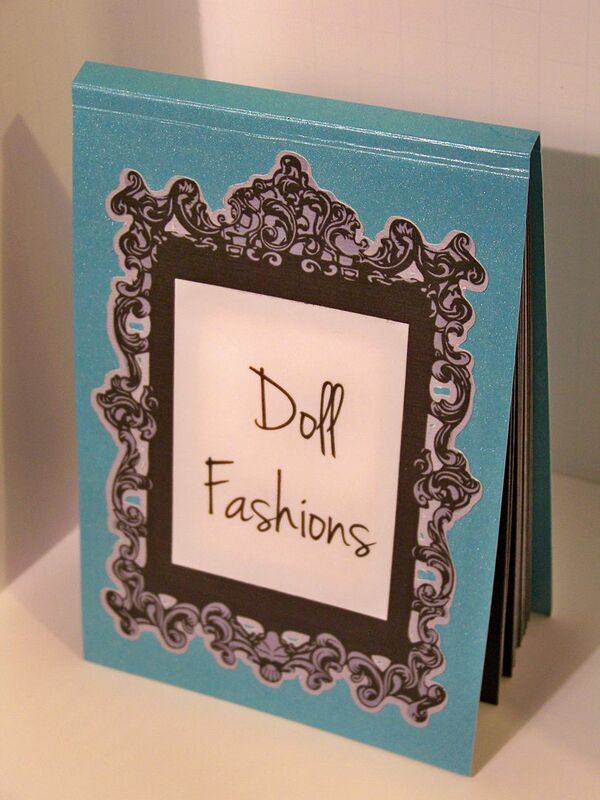 This type of construction is so easy to put on and take off of the dolls– even easy enough for excited little girls! 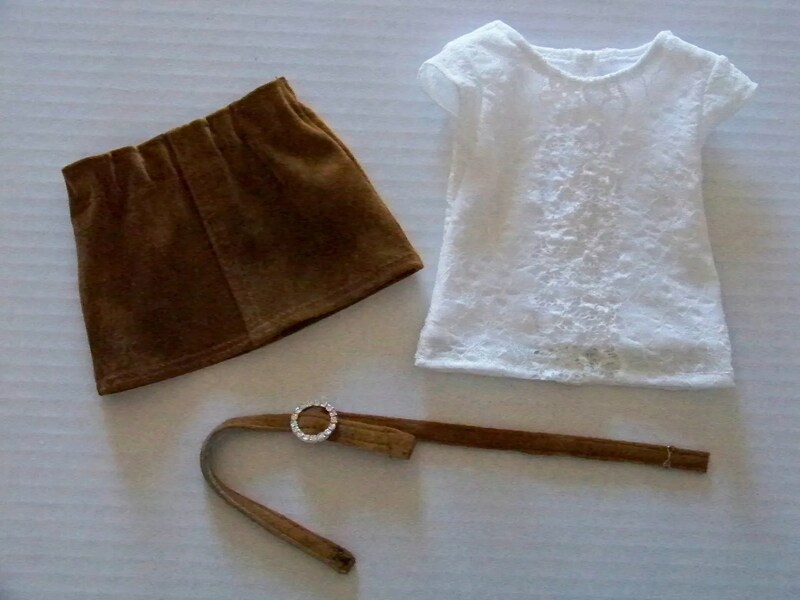 This outfit has been newly listed in the Perfectly Piper Studio shop on Etsy. 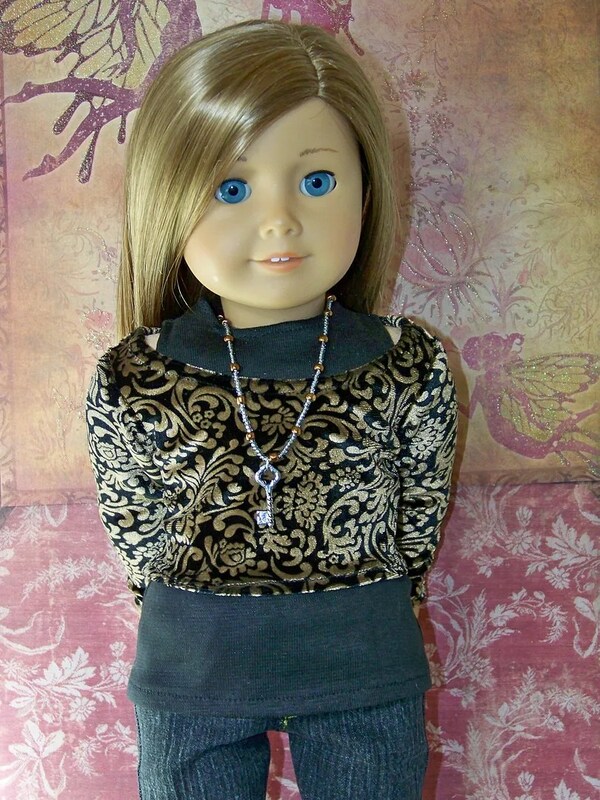 This bit of Perfectly Piper Doll Couture includes the skirt, top, vest, and necklace. Click here to check it out!